New Stage Play "The House That Mystery Built" | Coming to Raleigh, NC on June 3rd, 2018 - TheUrbanMusicScene.com | Concerts & Festivals! UPDATE: May 21st – Andrew Chad Caldwell has been added to the cast! 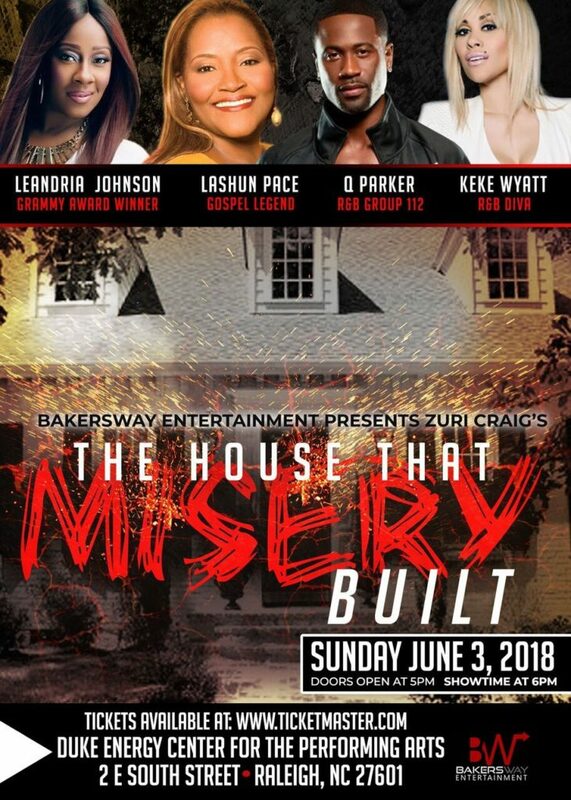 ATLANTA, GA (Wednesday, April 18, 2018) – Atlanta’s DeVon Baker, CEO of BakersWay Entertainment presents Zuri Craig’s hit musical stage-play, ‘The House That Misery Built”. The spine tingling production comes to Raleigh, North Carolina Sunday, June 3. Doors open at 5pm and showtime is 6pm. Tickets are on sale now and available at Ticketmaster.com. After receiving rave reviews from the nearly sold-out show in Atlanta, Baker and Craig are excited to bring this astounding production to Raleigh, NC. “The House that Misery Built,” guarantees to have audiences everywhere laughing coupled with suspense that will have you sitting on the edge of your seats. Margaret “Mae” Greene had it all, a loving husband, three wonderful children, a successful business, and a beautiful home – The perfect life. When her husband mysteriously falls ill and dies, Margaret’s family and friends rush to be by her side in her time of need. While helping her cope with her husband’s death, Margaret’s family and friends soon discover that everything about her “perfect” life is not as it seems. The horrible things that took place inside of her beautiful home, the secrets that she and her children had hoped to bury alongside her husband are all coming to light for everyone to witness. Soon, all of us will know that Margaret and her picture-perfect family are living inside of the house that misery built and it’s going to take all of the strength and the prayers of family and friends to fix what’s been broken. 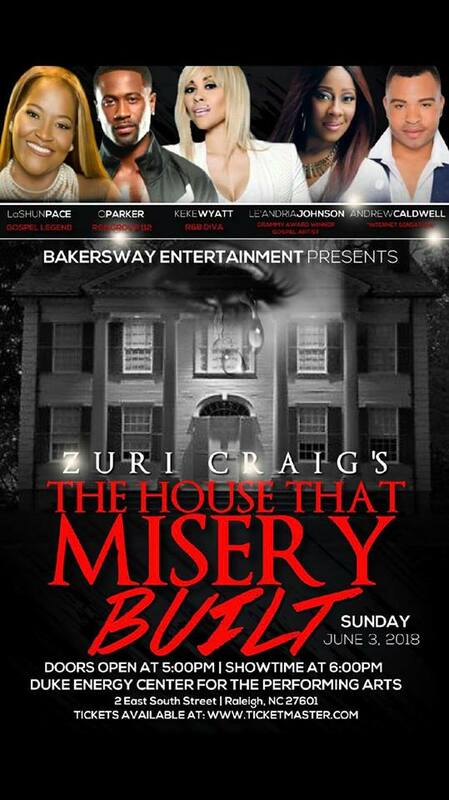 Raised in Washington, D.C. and a graduate of the prestigious Duke Ellington School of the Arts, Zuri Craig, who resides in Atlanta, is a celebrated singer, stage-actor, director, producer, and writer for two plays; “The Perfect Pastor” and presently “The House that Misery Built”. Craig’s professional journey in music began as 1/2 member of The CraigLewis Band along with Jeffery Lewis. The duo became well-known for song covers on YouTube and was discovered by media mogul Tyler Perry, which led to national stage tours with Tyler Perry Productions and national TV appearances on The Oprah Winfrey Show and contestants on NBC’s “America’s Got Talent” as Top 5 finalists. A native of Dallas, TX, DeVon Baker, who currently resides in Atlanta, GA is an award-winning singer, skilled businessman and graduate of Clark Atlanta University. 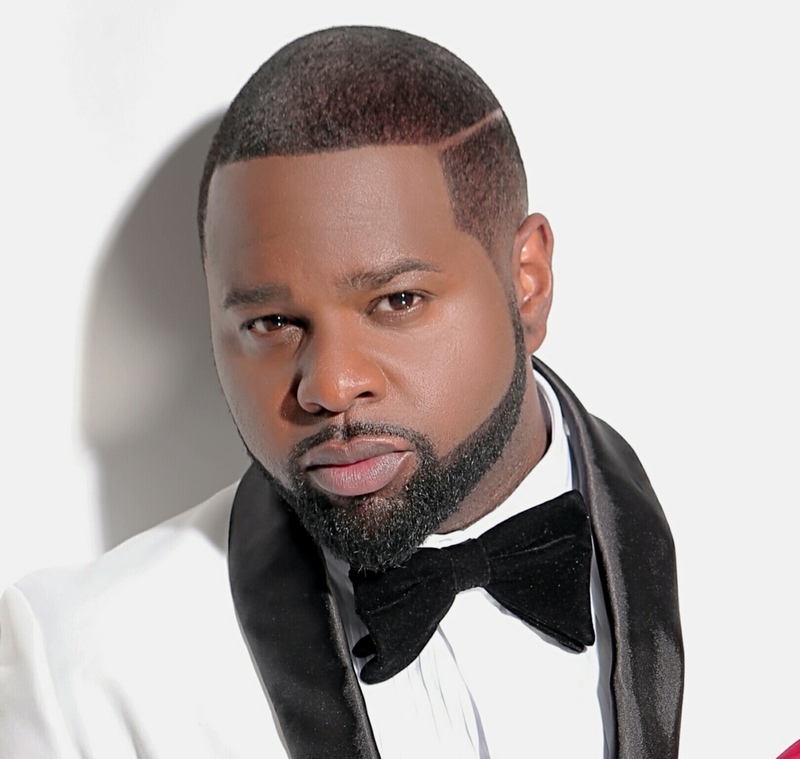 As a singer, Baker released his chart-topping debut single, “Worthy Are You Lord,” in 2014 and earned numerous awards. 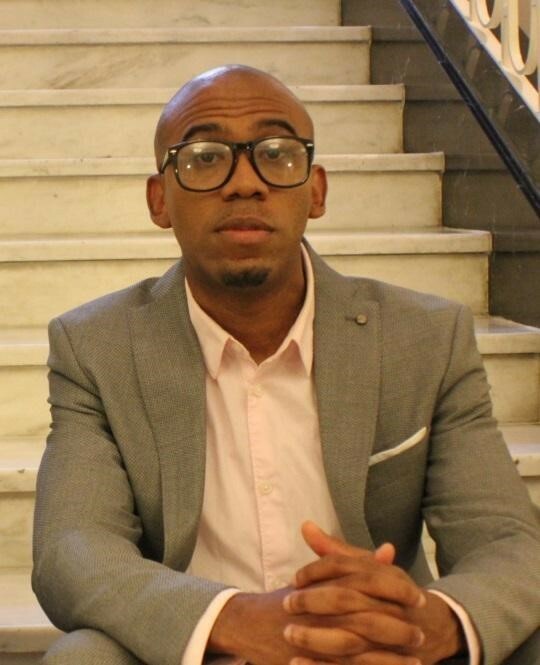 Currently, Baker serves as CEO of BakersWay Entertainment, an Atlanta-based special events and production company specializing in stage production, indie artist showcases, large scale faith-based concerts and corporate events. 2 Responses to "New Stage Play “The House That Mystery Built” | Coming to Raleigh, NC on June 3rd, 2018"